After finishing our movie, we needed to catch the basketball game! Should we just go home and watch it? Yardhouse? 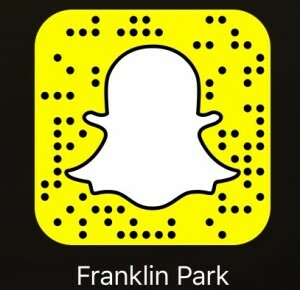 Naw. Right across the street, there it was. ChaCha’s. It was happy hour all day and we could not have been happier. The game was on, the sun was shining, but our team was losing. Oh well. The good food cheered us up. They gave us a huge bowl of chips and salsa. It was a great starter to our other starters. 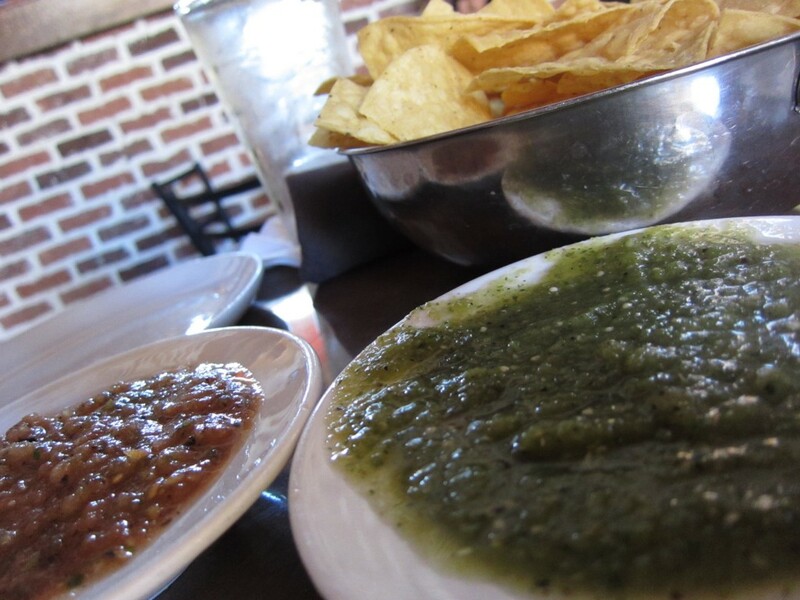 The flavors of the salsa, especially the green one had a strong citrus flavor. It was a huge bowl, and we could not finish it all. 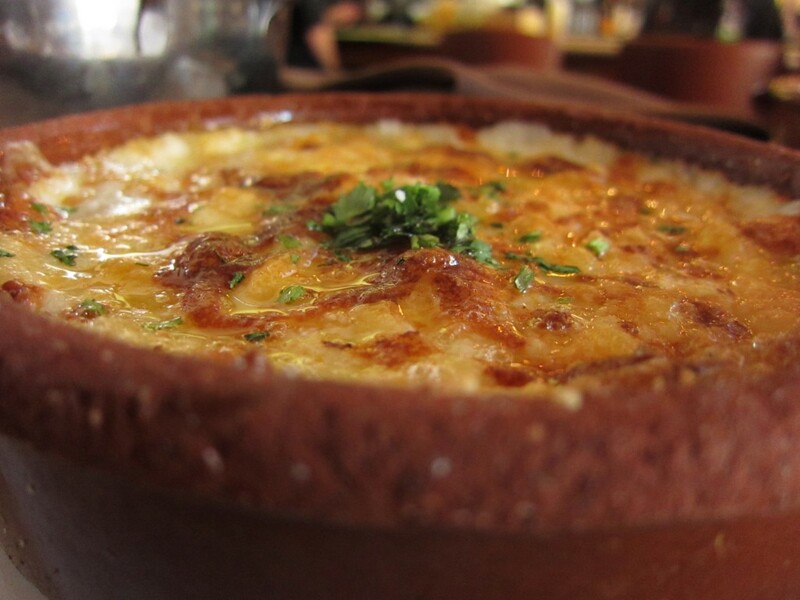 Our Wood Oven Queso Fundido was especially good with the chips. The melted cheese rolled up in the tortillas they provided were good, especially dipped in the salsa. 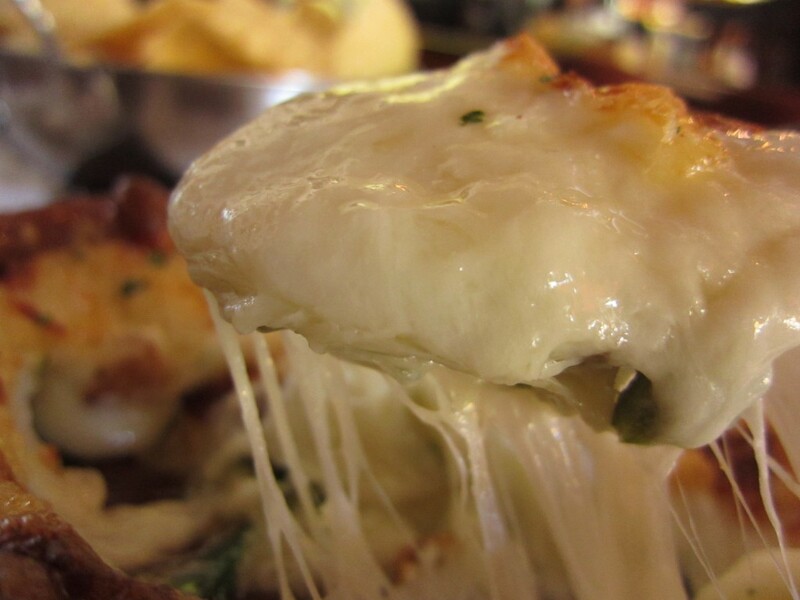 I am a lover of cheese — melted cheese is even better. Each spoonful left a trail of stretchy cheese, which was a good thing. We also ordered the Manila Clams. It was sauteed with garlic, chorizo, herbs, white wine, and butter. The combination was amazing, and the clams were very fresh. On a chip, I would put some queso on top, some chorizo, and salsa. 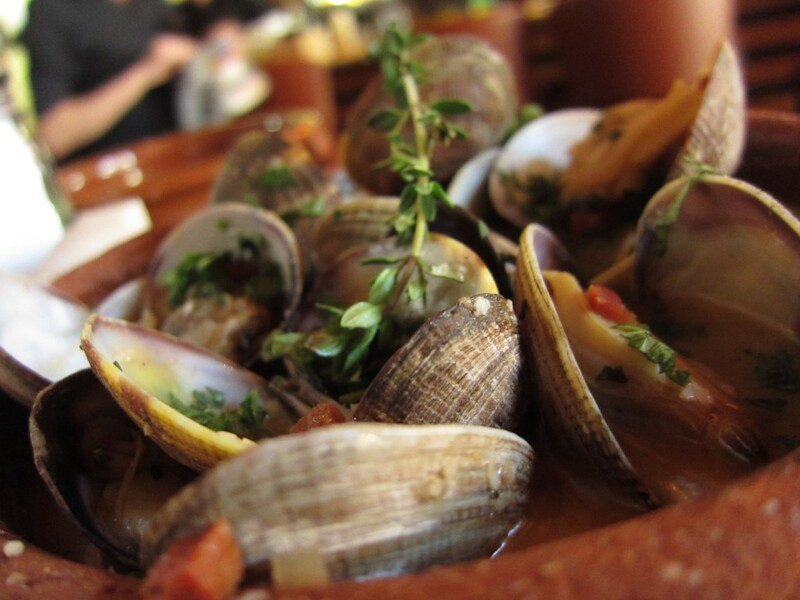 That was good in itself, and eating the clams with it just made everything complete. ChaCha’s offers a lot of great happy hour plates. For dinner, I always get their chimichurri skirt steak. It is the best thing they offer and one of my favorite beef dishes of all time. This high end Mexican restaurant has a nice interior and there is always live music playing. 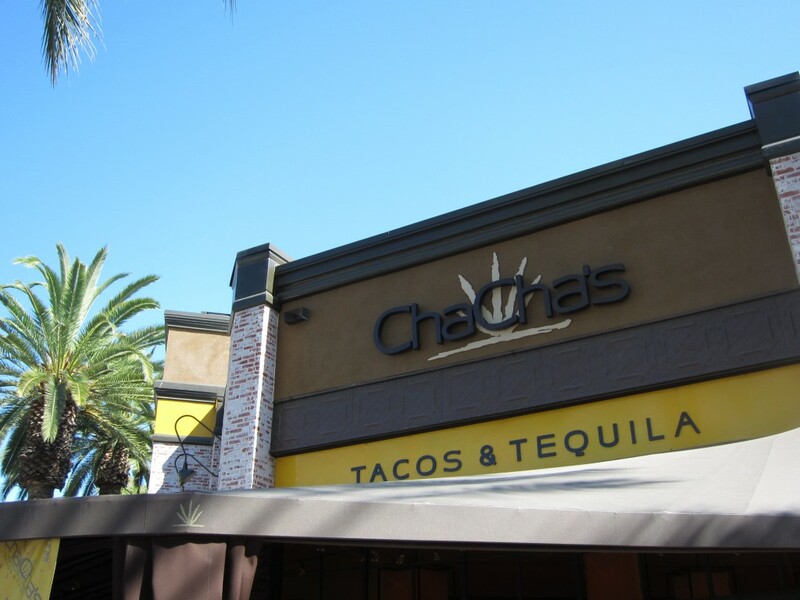 A festive atmosphere and good food is always had at ChaCha’s Tacos & Tequila.